Hello from Salt Lake City! I’ve been here for nearly a week and have been loving my time here with my parents. I was working most of last week, and my company is officially closed for Christmas this week and next—so I am ready to have some downtime without too much work to worry about. Do you have any work off over the next few weeks? I tried to pack relatively light and with a lot of thought as to what items could be mixed and matched in as many ways as possible. 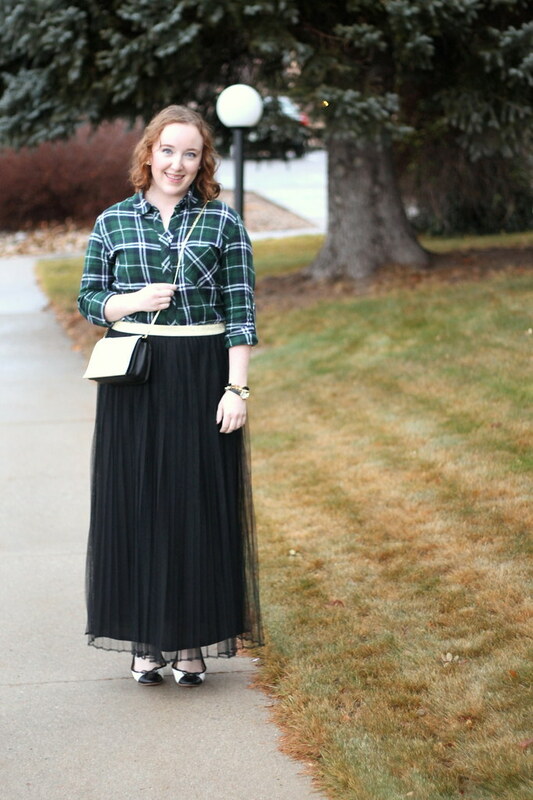 Surprisingly, this skirt made the cut. Even though I bought it last year (on clearance), I haven’t actually worn it yet. 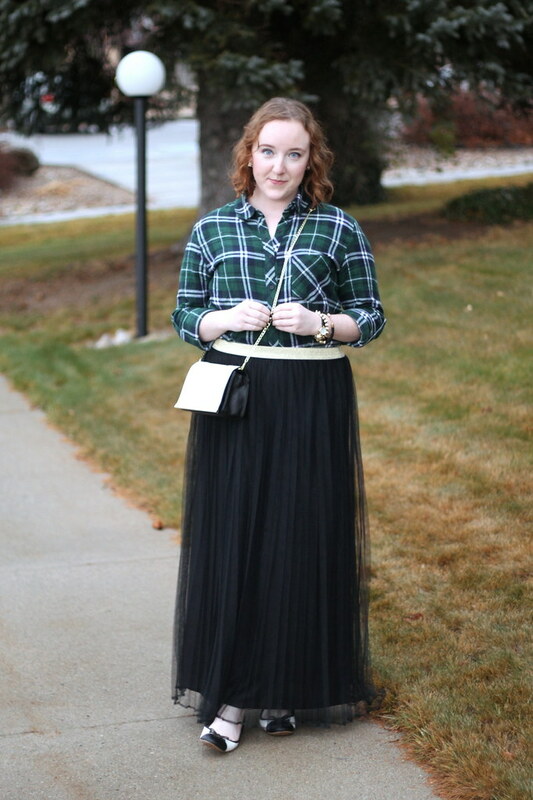 I thought with the holidays coming up, I needed to try to wear it as much as possible. 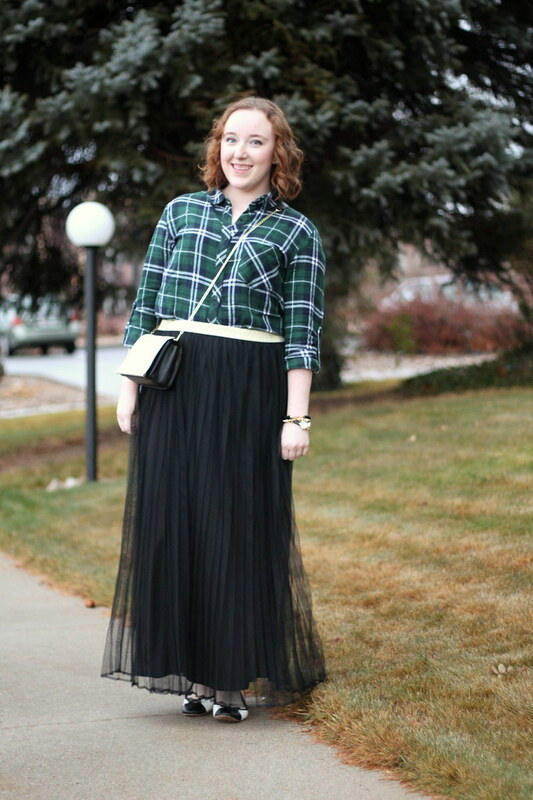 I really like the combination of tulle (very girly-glam) and plaid (very casual).